Tang or Tang-Free, These Are Nice Rats! A Better Solution! When opening the bore of a cork grip, many rodmakers use a “tapered reamer” covered with sandpaper or similar grit. Loose grit often stays inside the bore of the cork grip and can scratch your blank when mounting the grip. 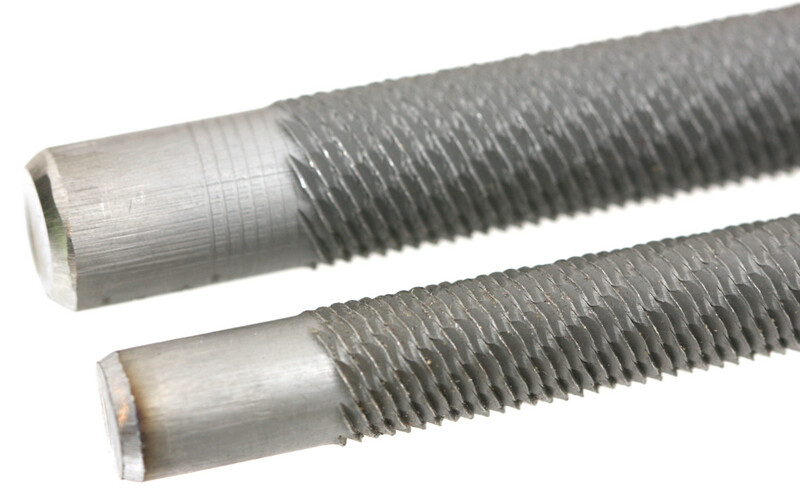 Try our grit-free rat-tail files—they’re a much better solution for fitting grips to blanks! For many years, we have supplied the three sizes most useful to rodmakers; Each listed length covers a respectively larger minimum diameter bore…of course if you work the file vigorously, you can expand the bore in the cork grip beyond the listed O.D. sizes. If you’re a power-tool junkie, carefully cut the tang off the file (or have us perform the operation) and chuck the remaining smooth stub end of the file into a cordless drill; this technique takes practice so work on cylinders of junk cork rings first before trying it on a fine cork grip. Order individually or save on a set. In July of 2016, we added two huge files, 12″ & 14″, just for you fiberglass rodmakers! Unless you have a very large drill, you probably want to leave these tangs intact, especially on that big 14″ monster, though of course we’re happy to remove some or all of the tangs. If you have a 1/2″ drill, the 12″ will fit, but the 14″ won’t. As is, these ship WITH tangs. Tanged files are for use by hand. No-Tang files are strictly for use in an electric drill. Cutting the tangs may add a day or two delay to shipping, but it does not incur an extra fee. We use No-Tang files and a drill in the GW shop. 6" round, 8" round, 10" round, Set of 6,8 and 10", 12" round, 14" round, Set of 12 and 14"